Alejandro Giraldo is an Associate and Senior Designer of THW Design in Atlanta, Georgia, which is noted as one of the nation’s top Senior Living Design firms with more than 900 commissions worldwide. Thinking forward for over 50 years, THW has been delivering expertise as a full service design firm. Alejandro has been deeply involved in the design and execution of multiple senior housing projects across the country including repositioning of large not for profit communities as well as targeted expansions and renovations. During his previous practice overseas in Colombia, he was recognized with various architectural design awards for his exceptional work and has also had architectural design teaching experience, which he brings to THW. 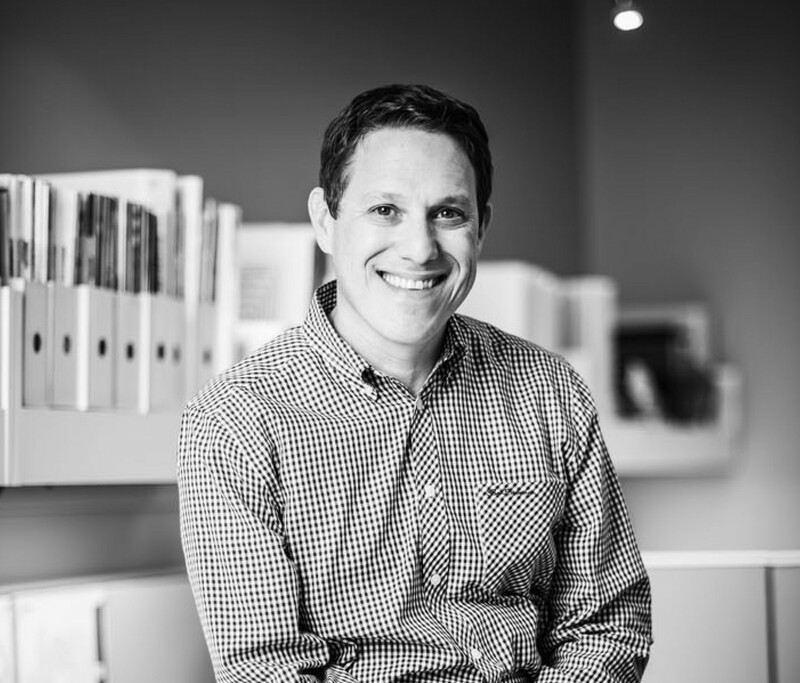 For the last couple of years he has been part of the team that worked closely with Leading Age in establishing the Idea House, a nationally recognized hands-on educational experience that highlights and demonstrates the latest trends in senior living design. Alejandro is also LEED Accredited Professional and a Certified Aging Service Professional CASP from the University of North Texas. Modelo spent some time learning about Alejandro’s journey through the profession and about his predictions regarding the future of the industry. Growing up, there weren’t architects in my family or professionals in the construction industry. However, my mother was always a strong influence. As an artist with lifelong experiences with various techniques and styles, she played a significant role in my creative development. For about five years, I taught in my alma mater, Universidad Pontificia Bolivariana in Medellin, Colombia. That experience alone was instrumental on my approach to research, resolve and communication in my practice. Teaching keeps you updated and eager to learn like nothing else. After completing my bachelor’s degree in architecture, I became part of a team that participated and won a major public project: the new city hall for the city of Manizales, Colombia. The team leaders were atop the best architects in my city at the time. During the development of this project, we established a practice together for a couple of years and worked on several projects. Those years were full of amazing experiences and exceptional growth which influenced my career and design approach tremendously. After practicing in South America for a few years, I decided to look for other opportunities and expand my knowledge base. I began seeking opportunities out of the country, such as Spain, the United States, and Canada. Research led me to THW Design. I saw their portfolio and grew interested in their work so I sent my resume. At the time my portfolio was formatted as a 2000 PDF file, which was not very popular, and very few people could open the files. When I did not get a response from THW, I decided to go and visit them, knock on the door and hope to win their attention. It was an unusual approach but I was determined to make it happen. In retrospect, I could not be more grateful to the THW Design leadership who granted me an opportunity not many would have. I was a foreign architect with no experience in United States, who lived out of the country. Despite those facts, they recognized that I was self-driven and equipped with strong design skills in high rise and residential buildings. Overall, I believe it was research and perseverance, which lead me to THW and senior living design, which has been my passion for the last 16 years. My approach to architecture and design has evolved tremendously since I joined the firm. There are several differences between practicing overseas versus in the United States. For example, languages, dimensional systems, construction systems, architectural styles and market demands. Learning to adapt was like a new beginning for me. 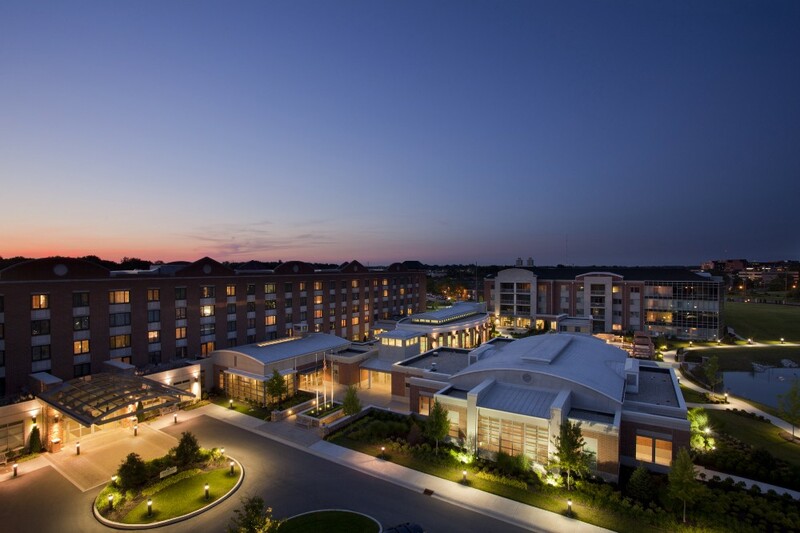 In senior living, particularly, I quickly began to experience many examples of transitional architecture. Thus, I have learned that good design is not just contemporary, but rather, it is about being able to recognize the vernacular, basic design elements, functional needs, and geometric proportions of a project and translate those into the design solution. A good, well-rounded architect needs to be able to apply any style to a building and can make it meaningful, timeless and contextualized. Throughout each project I work on, my primary goal is to understand the region, aesthetic and architectural style and apply minimal and clean elements to elevate buildings and environments that are often viewed in a more traditional way. Also, I am always looking for ways to innovate and see beyond the design challenge to bring new and fresh ideas to the table. Collaboration is a large part of my daily responsibilities and I enjoy working with people, from the clients, the principals, and in-house development teams. I am heavily involved in business development as well as marketing at THW. Being involved in so many areas means that my position is evolving and it is one that is hard to define from a “title” standpoint. I am a designer at the core and that has been my main role throughout years. Design in combination with my other interdisciplinary responsibilities has given me tools to understand and interpret the clients’ needs while proposing and supporting our ideas for the project. 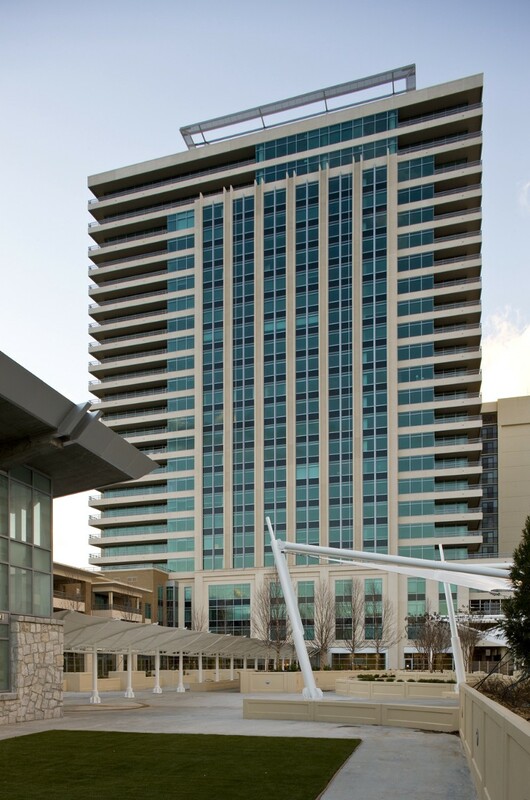 Having a management position in the projects allows me the unique opportunity to maintain the design concepts throughout each phase of design and construction. The support from our in-house technical and operations groups are fundamental in making this happen. Our name is THW Design for a reason. Our goal is “to provide strategic, innovative solutions that create exceptional environments to enhance and enrich the human experience.” We do have a collaborative approach in Design, and a knowledge base with decades in experience. Our founders had a visionary approach and aimed to be one step ahead of the evolution of the industry, something that our long tenured leadership has been able to maintain throughout the years. About ten years ago I started using Sketchup. The simplicity of the interface, the ease to construct, manipulate views, create textures and simulate shadows are incredible. I use it every day now and it is my primary design tool. It is the best way to express my ideas to the clients, which find it very intuitive and a helpful tool to understand their projects. Similarly, Sketchup models are used often by the in-house production teams as a tool to communicate with contractors. Even in early development phases like Schematic Design and Design Development, Sketchup models can be useful for early quantification for preliminary budgets as well. Since THW Design is comprised of Land Planning, Architecture and Interiors, we are involved in all levels of design. Several years ago, we developed our own planning tool to assist clients in preliminary master planning processes, called IPP (Interactive Project Planning) which provides a framework for informed decision making, performance evaluation and high level financial modeling using proprietary software tools. The combination of these tools, in addition to Photoshop, InDesign, are what we use in our everyday work. Over the timespan of my career, I have gone through several design tools changes. I started with the drafting board, pencils and rapidograph pens when I started architectural school. My first experience with CAD was in the early 1990’s. The mouse was my pencil and AutoCAD became a resource for design, presentation, and documentation from that point forward. Now I am using Revit and I believe it is a great documentation tool, however, it is still very complex. That complexity makes it less useful in the preliminary design stages, especially for early adopters and “old school” users. I’m sure it will get there eventually, but I don’t believe it is quite there yet. Some of the current and future challenges due to climate change, population growth, accelerated urbanization, shortage of natural resources will have a tremendous impact in the future of architecture. We need to learn how to better educate and aid our clients in understanding the changes in the different industries. We need to help them studying their current environments and see if what they have been doing for decades it is still applicable for future generations of users. I believe we need take the chance, invest in the future, be the trendsetter not the follower. Specialties: I truly believe in “boutique” practices, and I am not talking about size. But rather, being focused on a market and being the best at it. Focus on and aim to understand the changing culture, economy, globalization, and demographic setting. I believe that is the future direction of the industry. At THW, we are always looking for ways to break the mold and implement new design ideas. For example, we were doing sustainable buildings in the early 1970’s before it was a trend. Today we are opening new markets and we continue to look toward the future while maintaining our leadership in the Senior Living Design industry. Take your time to learn, find and develop your talents and do not either procrastinate, or go too fast. Everything comes at the right time. You need to define your path and make your own decisions. If not, something or someone else will define it for you.